Community College of Philadelphia is transforming the city—both the vibrant, growing Philadelphia firmly entrenched in the knowledge-based economy, and the neighborhoods where the lack of educational opportunities and college completion are impediments to social and economic growth. Our College has emerged as a national leader for Guided Pathways. Through our Pathways work, a College-wide redesign of program and curricular maps have taken place over the previous academic year. Faculty, counselors and advisors have worked together to ensure program alignment and continuity. These efforts have contributed to robust conversations about student learning and curricular objectives. The College’s expanded support services now includes 10 academic advisors whose primary function is to guide students by helping them navigate their academic demands. This effort has shown early signs of improving retention. The 50th Anniversary Scholars program is now in its third year. This nationally recognized “Promise” program has provided financial support to 527 students. Since inception in 2015, a total of $374,586 has been awarded. The program covers all tuition and fees after the application of federal PELL dollars. This past spring, five recipients of the program graduated, and all are planning to transfer. After two years, a diverse group of donors has backed the program, including the graduates of Goldman Sachs 10,000 Small Businesses and Enon Tabernacle Baptist Church, which collected $100,000 for the program. Community College of Philadelphia is a transformative institution, in part because the rich diversity on our campus helps students to reimagine their places in the world, and reassess their pressing civic responsibilities as neighbors and citizens. The construction of The Hamilton, the 10-story, 600-unit apartment complex being built in two phases by Radnor Property Group in collaboration with the College, will provide young professionals and students an opportunity to experience market-rate, urban apartment living without the exorbitant costs. Moreover, my staff and I have undertaken steps to ensure that the total student experience is pleasant and rewarding. We want to make sure that Philadelphians from all walks of life receive the services and support they will need to be successful and to graduate. For Wadiya Moore, sous chef at The Capital Grille in Philadelphia, cooking is like breathing, an involuntary response that just comes easy. She’s been mixing, whipping and concocting new dishes since she was 18 years old. When she entered the Culinary Arts program at Community College of Philadelphia, she was already working at the posh restaurant and knew she could continue to climb the ranks if she got her degree. “I’ve been at Capital Grille for 11 years. I first started on the fryer station, then moved up to sauté station. I just kept going up and then when I graduated from Community College of Philadelphia with a degree in Culinary Arts, I was promoted to manager,” said Moore. 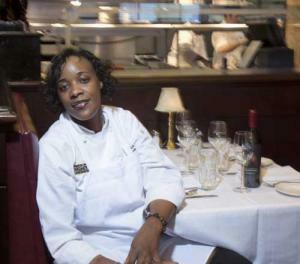 With her degree, she is now running the kitchen at The Capital Grille and earning more income. Moore also won the program’s Culinary Arts Award in spring 2015 when she graduated from the College. Leslye Friedberg, assistant professor of English, welcomed her former student and alumnus of the College, Woodrow "Sean" Fletcher, to her 098/099 Fundamentals of Writing/Reading Improvement class to discuss the movie "Moonlight." Fletcher recently received a Master of Science degree in Psychology from the University of the Sciences and intends to pursue further studies in a Ph.D. program. He is an example of academic excellence and determination. Jennifer Myers, a graduate in the Diagnostic Medical Imaging program, was among 55 winners of the 2017 Jack Kent Cooke Undergraduate Scholarship, selected from 3,000 applicants nationwide. 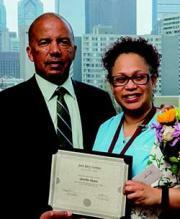 She is the fourth Jack Kent Cooke recipient from the College in the past seven years. The largest private scholarship in the nation, this award provides high-achieving, service-oriented community college students up to $40,000 per year to complete their bachelor’s degrees. Myers, who lives in Fairmount, has been accepted to Thomas Jefferson University and will complete her bachelor’s in General Sonography. Upon completion of her bachelor’s degree, Myers is looking to further her education and become a physician assistant. “My college experience has been a second chance. When I was young, I didn’t work to my full potential. When entering college, I needed to take remedial math class before I could go even further. I took on that challenge and even exceeded my expectations by taking statistics and calculus. Tenacity was the key to my success, and my hard work has really paid off,” Myers said. Adam Moody, a career-oriented Drexel University Engineering student, was zipping through his junior year at Central High School when he took a wrong turn. At the age of 17, he dabbled in drugs, alcohol and petty theft. After being confronted with the law, Moody realized he needed to get his life together. Charges for his crimes were eventually expunged, but he felt hard pressed to justify his full potential to a college admissions office. His starting point would be to attend a respectable community college and then transfer to a four-year institution. Moody enrolled at Community College of Philadelphia, where he focused on doing well in his STEM (science, technology, engineering and math) concentration. “This focused me on becoming successful, not only doing well in my STEM courses, but also taking essential, non-STEM courses like public speaking,” said Moody. 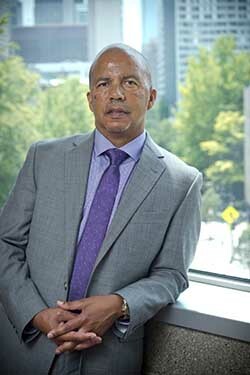 Given his interest in chemistry and its intersection with energy, Moody signed up for RISE (Raising Interest in STEM Education), which was established at the College in 2013 under the direction of Linda Powell, M.D., head of the College’s Biology department. “RISE provides students with increased opportunity to stay in the sciences and persist to transfer,” Dr. Powell said. The RISE program was initially funded through a U.S. Department of Education Minority Science and Engineering Improvement Program grant. 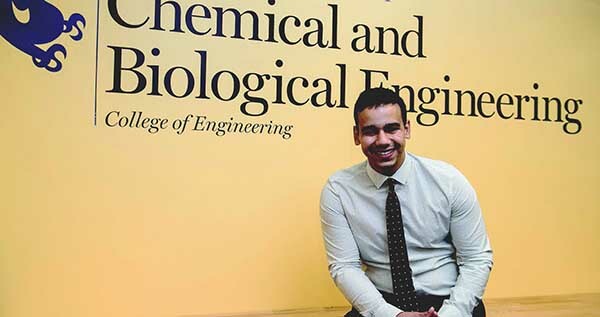 The program gave Moody an opportunity to do research in chemical engineering at Drexel University, where he was accepted through the College’s dual admissions partnership. Drexel is the second most popular transfer institution for the College’s students, with 1,015 transfers from 2005 to 2013. Dual admissions agreements provide students with a seamless transfer path. Graduates can transfer to a variety of colleges and universities, but the College’s 13 dual admissions agreements provide more structured transfer supports and scholarship opportunities. With these agreements, the approved associate’s degree programs are accepted because the general education requirements meet the core requirements of the transfer college’s curriculum. With the seamless transfer to Drexel, Moody is on his way to becoming a chemical engineer and is expected to graduate in 2019. Moody is also building an impressive résumé. Through Drexel, he has been immersed in the real workplace working for a subsidiary of Exxon Mobil, and at Johnson & Johnson. Moody’s goal is to work for ITER – “The Way,” in Latin – a 35-nation collaborative energy project building the world’s largest magnetic fusion device, known as a tokamak. Six students from the 2018 senior class at MaST Community Charter School (MaST) are embarking on the next big chapter of their lives. This year when the students step off the bus at the Northeast Regional Center to take their college-level courses. Read more. 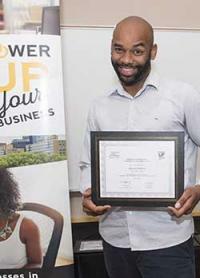 Power Up Your Business – For the small neighborhood businesses seeking similar assistance and support, the College and the city partnered to create Power Up Your Business this year. 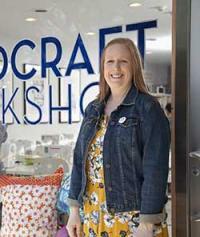 In the first six months, 104 businesses from 42 different ZIP codes in the city had participated in the Power Up Your Business Peer-based Learning Experience or the Store Owner Series of workshops by June. Workshops have been held on the Main Campus and at the West and Northwest Regional Centers. The training moved to the Northeast Regional Center in fall 2017. Power Up Your Business, a groundbreaking initiative, took us deeper into the commercial corridors, which are a crucial component of neighborhood change, especially in areas with persistent poverty. The program is tailor-made for the microbusinesses at the heart of the neighborhood economy. The free coursework supports the sustainability, management and profitability of these businesses through a two-tiered approach: a series of free, business-themed workshops; and an extended, peer-based learning experience, which provides 30 hours of training over 10 weeks. Further expanding our reach in workforce development, 10,000 Small Businesses Greater Philadelphia continued its strong track record of identifying and training the local entrepreneurs ready to move to the next level. If you’re a small business owner in Philadelphia, see how we can Power Up Your Business. The ultimate goal of Community College of Philadelphia’s 50th Anniversary Scholars Program is to ensure that eligible Philadelphia high school graduates who want to go to college are able to do so. The 50th Anniversary Scholars Program is open to eligible, college-ready, low-income Philadelphia high school students who enter college directly following high school graduation. Students are supported by the scholarship as long as they maintain good academic standing and fulltime status for up to three years of completion of an associate’s degree. Each semester, students receive an award that covers the gap between Pell grants and the cost of tuition and fees. Those students whose Pell grant covers the full cost receive a retention bonus of at least $300. Jackson, a high school graduate of Academy at Palumbo in South Philadelphia, said the 50th Anniversary Scholars Program was a blessing, especially since the College was a dual admissions partner with Temple. Enrolling first at Community College of Philadelphia she figured would save her at least $20,000 a year. A graduate of Roman Catholic High School, Mattei said people tried to dissuade him from going to the College. “I have to say that Community College of Philadelphia is the greatest educational institution we have in this city and in this country. There is so much to love about this school,” said Mattei, who now plans to transfer to the University of Pennsylvania. Meanwhile, Anya Hester, who wants to become a biomedical engineer, said the scholarship has positioned her to continue her studies. “The 50th Anniversary Scholars Program is giving me more options in my educational career,” said Hester, who will transfer to Temple University come fall. been awarded to Philadelphia students. For a complete list of eligibility requirements and to learn more, visit www.ccp.edu/scholars. YOUR GIFT to Community College of Philadelphia helps to assist students, faculty, staff and ultimately, the city of Philadelphia. With that in mind, we offer several ways to give. All of your donations further our efforts to provide the best education and learning environment possible for our students. Give today. Now you can see photos from events happening on and around the College's campus. Just go to the Marketing and Government Relations' Photography and Event Galleries page on MyCCP online to view the latest images. Galleries will be added/updated continuously, so check back often. Who knows, you may even see yourself, your coworkers or your students in the photos! Wednesday, December 13, 2017 | 6 – 8 p.m. Interested in joining the Alumni Association? Already a part of the Alumni Association and want to find out what new benefits we offer? Benefits include access to the College Library and computer and learning labs, partner discounts, quarterly e-newsletter, exclusive access to special events, free workshops and more! Learn more and join now.